A precious resource hidden from view. We see groundwater when it flows from our faucets. Otherwise, it remains invisible to us–sometimes hundreds of feet underground. Yet in the North and South Branch Raritan Watershed, 4 out of 5 residents rely on groundwater from private wells every day and nearly all of the remainder use groundwater from municipal or community wells. Groundwater is used to irrigate much of the farmland in our watershed. Some of the groundwater remains underground in aquifers for hundreds or thousands of years but much of it is moving as it seeps from the ground into our streams and rivers. These streams that come from the headwaters region eventually flow into the Lower Raritan River that supplies drinking water to 1.5 million people outside our watershed. Finally, it reaches Raritan Bay where it mixes with ocean water to form the lifeblood of the estuaries there. Groundwater matters to our health and the health of our ecosystems in far-reaching ways. How is the water quality in our aquifers? Testing is easy and available any time, year round through RHA’s Well Testing Program. In 1996, the SDWA was amended again to expand wellhead protection to include protection of surface water that is used for drinking water. This new program was called the Source Water Protection Program. Many other federal laws are responsible for helping to protect groundwater. Resource Conservation and Recovery Act (RCRA) – regulates the storage, transportation, treatment, and disposal of solid and hazardous wastes to prevent contaminants from leaching into groundwater. Comprehensive Environmental Response, Compensation, and Liability Act (CERCLA) (Superfund) – authorizes the government to clean up contamination caused by chemical spills or hazardous waste that do or could pose threats to the environment(groundwater). 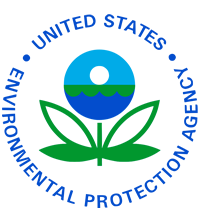 Federal Insecticide, Fungicide, and Rodenticide Act (FIFRA) – authorizes EPA to control the availability of pesticides that have the ability to leach into groundwater. Toxic Substances Control Act (TSCA) – authorizes EPA to control the manufacture, use, storage, distribution, or disposal of toxic chemicals that have the potential to leach into groundwater. Clean Water Act (CWA) – authorizes development of surface water protection strategies and authorizes a number of programs to prevent water pollution from a variety of potential sources.